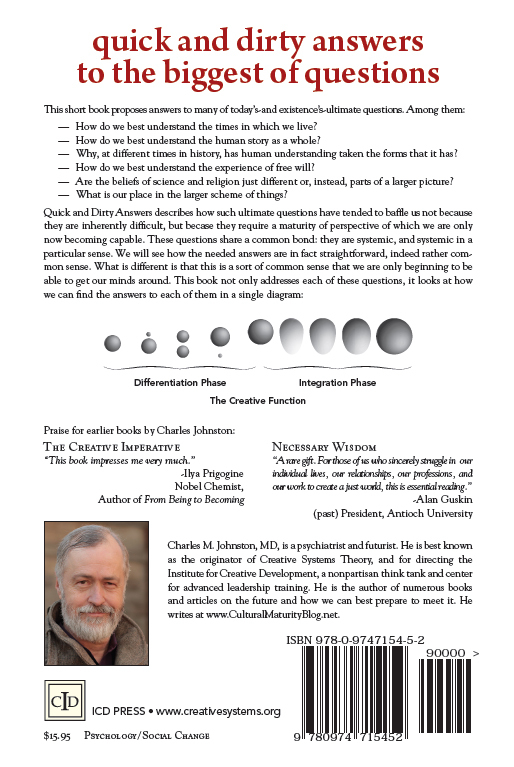 Cultural Maturity: A Guidebook for the Future (with an Introduction to the ideas of Creative Systems Theory) is one of three related works Charles Johnston has written for different audiences in recent years with similar intent: to help people understand the times we live in and to make sense of what the future will require of us as a species. It is the lengthiest and most leadership-focused of the three. It is written for those interested in developing the newly sophisticated leadership abilities that we will increasingly need in all parts of our lives. How, given the growing availability of weapons of mass destruction, do we best support a safe human future? How do we successfully address the very real possibility of environmental catastrophe? How, in times ahead, will we deal with numerous new concerns that require global decision-making—such as terrorism and the need for stable and trustable global economic structures? How do we effectively address our modern health care delivery crisis? Is modern representation democracy a final and ideal form of government or do further chapters in how we think of governance and government lie ahead. How will love work in the future, with gender roles and expectations today in such flux? How do we best define progress if our efforts are to result in real human advancement? Cultural Maturity: A Guidebook for the Future examines what successfully addressing such questions will require of us. It observes that what these very different questions ask of us is in each case similar. Each reflects Cultural Maturity’s larger challenge—the need for a new chapter in our human development. From the perspective of Cultural Maturity, questions such as these become not just answerable, they become fascinating and compelling, invitations to venture forth in essential new ways. 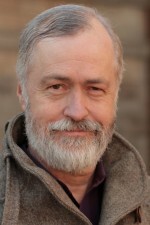 Cultural Maturity is a formal concept within Creative Systems Theory, a comprehensive theory for understanding purpose, change, and interrelationship in human systems developed by Dr Johnston and others at the Seattle-based Institute for Creative Development over the last thirty years. Besides presenting the basic notion of Cultural Maturity, the book examines how Creative Systems Theory provides its conceptual underpinnings. It also introduces Creative Systems Theory as one example of detailed culturally mature conception. 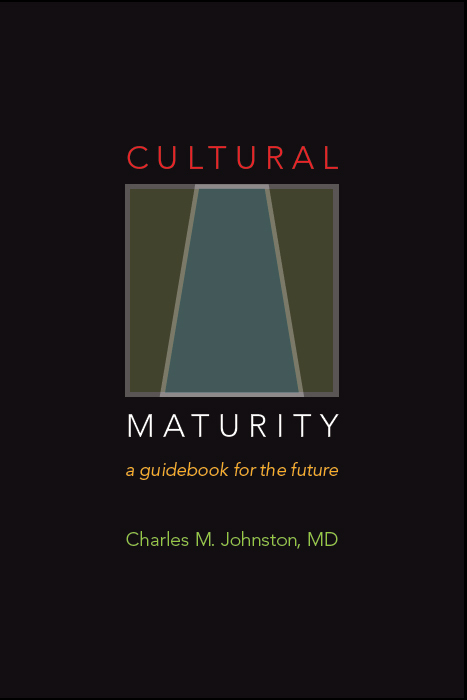 Cultural Maturity: A Guidebook for the Future explores just what Cultural Maturity’ needed growing up entails and looks at how, if we fail at what Cultural Maturity’s changes asks of us, a future rife with significant disorientation and anguish becomes a very real possibility. It also looks at how, if we can bring the needed courage and commitment to bear, a human future that is not just positive, but profound, is very much an option.